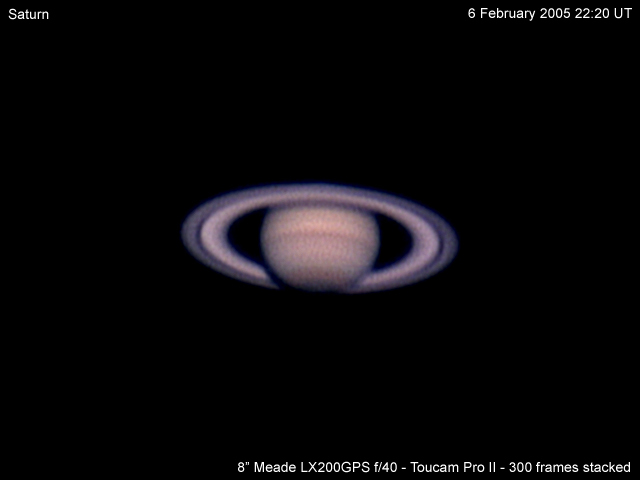 Taken in February 2005, this is the third attempt at imaging Saturn. This image shows the rings clearly featuring the Cassini division and the various cloud belts on the planet itself. Note the dark polar region.